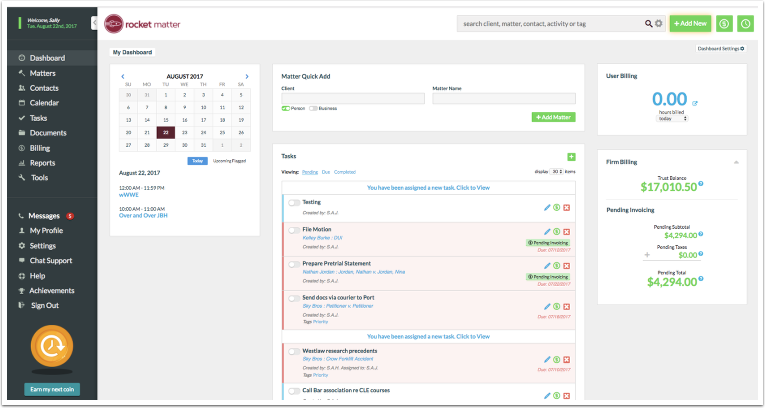 Rocket Matter Knowledge Base LawToolBox - Court Rule CalendaringHow to add/remove my jurisdiction for court rules and set default jurisdiction for LawToolBox. 3. 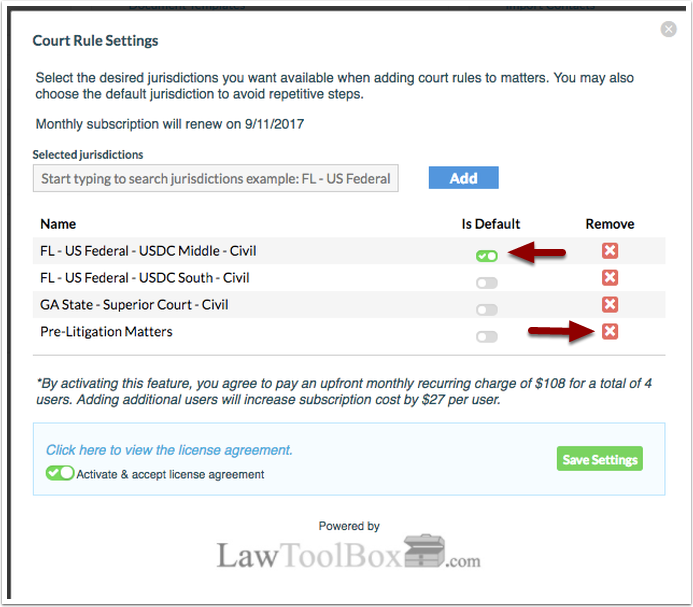 Select the desired jurisdictions you want available when adding court rules to matters. Click 'add'. 4. 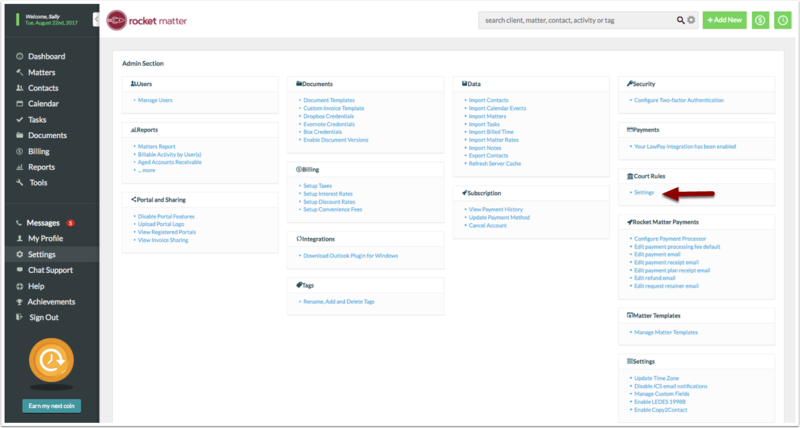 You may add multiple jurisdictions and choose a default jurisdiction to avoid repetitive steps. To remove users, click on the red "X" next to the jurisdictions name. Prev: How to modify/delete existing court rules. 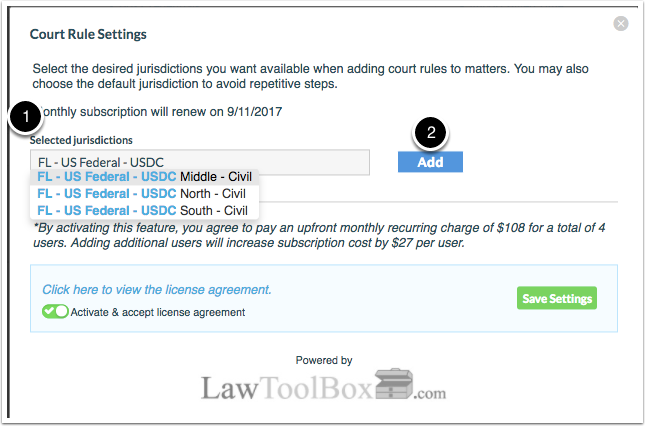 Next: How to activate your LawToolBox subscription.